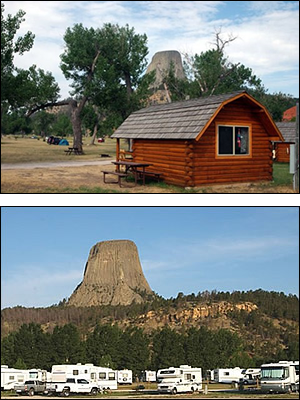 Our sites are very spacious, most are shaded, and each one has a fantastic view of Devils Tower! It is always a great day at the Devils Tower KOA. The Park Model Cabin sleeps 6, features a double bed in the bedroom, a queen futon in the living area, and a small sleeping loft. This cabin features a kitchenette and 3/4 bathroom as well as a deck and gas BBQ grill. Bedding and linens are not provided. We also offer 11 fantastic rustic One Room Cabins. Our cozy cabins sit on the banks of the Belle Fourche River and offer a great views of Devils Tower. Each cabin features a log frame double bed and twin bunk beds as well as individual porches with swings. Additionally, cabins have their own fire rings and picnic tables. Bedding and linens are not provided. Bathrooms are available nearby. Clean, comfortable, fun and perfect for a family! The Devils Tower KOA have several options for RV Hookups including pull-thru and full hookups (up to 50 amp). Many sites are extra wide/long and feature well established shade trees. Premium sites have spectacular views of Devils Tower! For those who enjoy being closer to nature, our spacious 30 acre tent camping area allows our campers to select their own site near the Belle Fourche River. Heated Swimming Pool & Playground Yes, we have a pool! Open from June 1 to September 1 our heated outdoor pool is a great place to spend a relaxing afternoon. We also have a wonderful playground with multiple pieces of equipment including swings, merry-go-round, jungle gym and wooden stage coach. We offer two, easily accessible shower houses that are open 24 hours a day. Each shower house has 6 unisex showers, separate men's and women's restrooms. Dishwashing sinks are available on the outside of each facility. We have 2 updated laundry facilities with coin-op washing machines and dryers open 24 hours a day. Nightly Viewing of "Close Encounters of the Third Kind" Steven Spielberg's sci-fi classic "Close Encounters of the Third Kind" was filmed on the Devils Tower KOA Campground in 1977. The movie is shown each night at dark on an outdoor screen. Bring your blankets and camp chairs! Popcorn and snacks are available for purchase! It is a must see and is also available for purchase in the Cowboy General Store. Devils Tower KOA offers a nightly hayride through the historic Campstool Ranch. The hayride takes approximately an hour and goes through some of the most scenic areas of Northeast Wyoming. A large variety of animals may be seen on the hayride including deer, wild turkey, fox, coyote, bald eagles and more. We have buffalo and longhorn cattle for your viewing pleasure that can often be seen and photographed during the hay ride. Our area abounds with wildlife native to the Black Hills of Wyoming. Don’t be surprised to see a whitetail deer wandering through your campsite, or a raccoon exploring in the moonlight. There is also a wonderful collection of birds around the campground, including many varieties of woodpeckers, bluebirds, swallows, finches, robins and the Wyoming state bird, the meadowlark. You may also be able to spot and photograph our roaming buffalo or longhorn cattle. 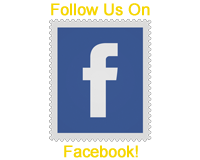 Offering camping equipment and supplies, artisan jewelry, local art & pottery, souvenirs, groceries, soda, wine, beer and spirits. Other Amenities The Devils Tower KOA is pleased to offer a variety of other amenities including a full service restaurant, sweet shop, free WIFI, ATM access and propane services. Group and Event Services The Devils Tower KOA and Campstool Café are an impressive venue for events and group meetings of all types. Please contact management if you are interested in hosting an event at iconic Devils Tower! To check camping rates, click on Reservations and put in your arrival dates. Site charge includes two people. Additional people age 5 and over are an additional $5.00. Children age 4 and under are free. A credit card deposit equal to the registration charges for your first night will be required to guarantee a reservation. The deposit will be charged at the time of reservations. • RV/Tent: 48 Hours - To cancel your RV/tent reservation, notify KOA by 4 p.m. two days prior to your scheduled arrival. • Kabin: 7 days - To cancel your Kabin reservation, notify KOA one week prior to your scheduled arrival date. All canceled reservations, regardless of time of cancellation, will be assessed a $10 non-refundable fee by Kampgrounds of America. All campers may request a full refund within one hour of arrival. KOA Value Kard Rewards® is the only discount card we can accept. 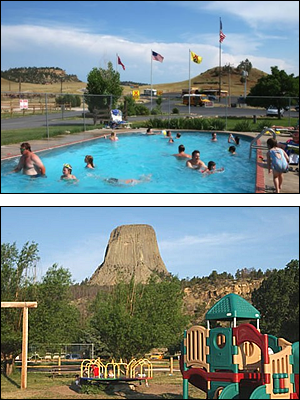 Devils Tower KOA is a perfect base camp for all your Black Hills and Northeastern Wyoming Vacation Travels!